Although about 24 million Americans are diagnosed with asthma every year, there is no single test that can diagnose the disease. Common symptoms, such as shortness of breath, wheezing, and cough, are relatively nonspecific, and physicians may use multiple tests and observations to reach an accurate diagnosis. 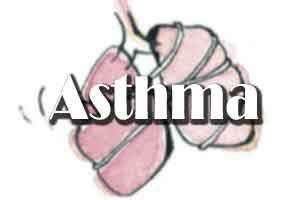 In order to assess the accuracy and reliability of one of these tests that can be added to the clinician’s toolbox to diagnose asthma – fractional exhaled nitric oxide (FeNO) concentration – researchers gathered and analyzed data from previous peer-reviewed studies. They conclude that the FeNO test has moderate accuracy for patients aged 5 and older. Their results are reported in Mayo Clinic Proceedings. Researchers from the AHRQ-funded Evidence-based Practice Center at Mayo Clinic (Rochester, MN) identified 43 studies comprising a total of almost 14,000 adult and pediatric patients with suspected asthma who received the FeNO test. This review was commissioned by AHRQ and the National Institutes of Health, National Heart, Lung, and Blood Institute, part of the U.S. Department of Health and Human Services. Investigators evaluated FeNO data from the selected studies and categorized the results into four cutoff values, less than 20 ppb, 20 to 29 ppb, 30 to 39 ppb, and 40 ppb and over. Patients were also divided into two age groups, those older than 18 and those aged between 5 and 18. For patients over 18, sensitivity decreased from 0.80 at <20 ppb, 0.69 at 20-29 ppb, 0.53 at 30-39 ppb to 0.41 at >40 ppb. Specificity values were 0.64, 0.78, 0.85, and 0.93, respectively. Cutoff values change the sensitivity and specificity of the FeNO test. Lower cutoffs capture more people with the disease but also cause more false positive results. FENO estimation is a known fact.Need to know more about senstivity and specificity in Diagnosis of Asthma.